After World War II, a small group of martial artists centered around a man named Noriaki Inoue was active in Tokyo practicing a little known martial art called Shinwa Taido. This oddity would be largely irrelevant to aikido practitioners were it not for the fact that Inoue’s students referred to their teacher as the “Co-founder of Aikido”! Before dismissing such a seemingly preposterous claim, consider the following: Inoue was a nephew of Morihei Ueshiba, and 19 years the latter’s junior. You’ll recall that Morihei was born in Tanabe, a seacoast town in Wakayama Prefecture. Yoichiro — his given name — was also born in Tanabe and spent a number of years growing up in the Ueshiba family home. Morihei’s eldest sister married Yoichiro’s father, an exceedingly wealthy man named Zenzo Inoue. This marriage, Zenzo’s financial assistance and mentorship played a prominent role in shaping Morihei’s early life decisions. The Ueshiba and Inoue families were not only linked through marriage, but acted jointly in family matters including activities related to the martial arts training of the younger members of the extended family. This younger generation included Morihei, Yoichiro, and several of the latter’s brothers. Moreover, Zenzo and his fabulously wealthy brother Koshiro played an important role in financing a number of Morihei’s early ventures including his attempt to embark on a business career in Tokyo and his relocation to Hokkaido. None of this is mentioned in Kisshomaru Ueshiba’s biography of his father “A Life in Aikido”. Morihei and Yoichiro both spent several years living in Hokkaido where they learned the art of Daito-ryu Jujutsu from famous martial artist Sokaku Takeda in the small village of Shirataki. Zenzo and Morihei’s father Yoroku also settled in this small village of Shirataki. 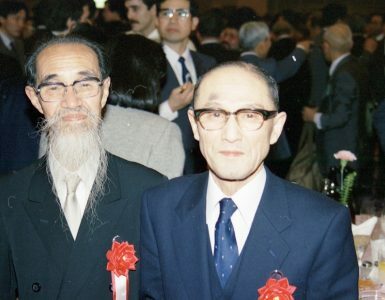 Back in the late 1980s with the assistance of Katsuyuki Kondo Sensei, I made a startling discovery when I found the names of both Zenzo and Yoroku in the enrollment records of Sokaku Takeda! Since Morihei intimated that he paid a great deal of money to Sokaku to study his Daito-ryu techniques during these years, the presence of Zenzo’s name — a man of far greater wealth than Morihei’s father — suggests that it was he who provided most of the funds for Morihei’s study of Daito-ryu! Of course, none of this appears in the official biography of Morihei Ueshiba either despite the fact that the existence of this information alone demands a total rewrite of this fascinating chapter of O-Sensei’s life story. 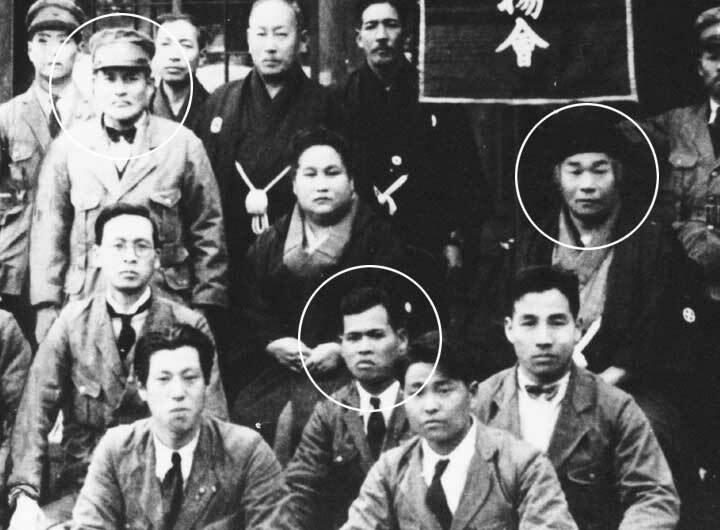 A rare photo in which Morihei Ueshiba, Yoichiro Inoue, and religious leader Onisaburo Deguchi appear together in Ayabe c. 1932. The occasion was a gathering of key members of the Budo Senyokai organization created to promote martial arts training among the sect’s members. Morihei was its first president. After Hokkaido, both Morihei and Yoichiro opted to join the Omoto religious community near Kyoto where they continued practicing and teaching Daito-ryu. In fact, there is some anecdotal evidence that it was Yoichiro who first jointed the Omoto Sect and enthusiastically recommended it to his uncle Morihei. 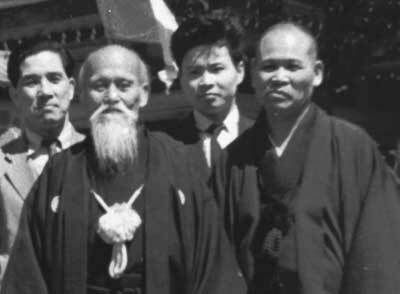 During the entire time Morihei Ueshiba spent in the community of Omoto believers, 1920-1927, Yoichiro Inoue was there as well, and though considerably younger, shared many of the same experiences and acquired the same religious outlook as his famous uncle. Not surprisingly, Inoue’s presence and participation in Omoto life are nowhere recorded. Morihei Ueshiba with his nephew Yoichiro (Noriaki) Inoue c. 1962. Nobuyoshi Tamura is standing in the center. From there, both Morihei and Yoichiro established themselves in Tokyo in the mid-1920s. Yoichiro accompanied his uncle to Tokyo as his assistant and the two jointly built the network of martial arts study groups that would soon become Morihei’s Kobukan Dojo. During that time, Yoichiro’s rich uncle Koshiro also provided financial assistance. Years later referring to this period, Yoichiro joked to me saying: “Koshiro’s money was my money and I got whatever we needed!” This was the period in time — 1927-1940 — when the art Morihei and Yoichiro taught was usually referred to as “Aiki Budo”. Finally, we find an occasional mention of Yoichiro’s name in Kisshomaru’s biography, but nothing about the family relationships nor the financial support provided by the Inoue family to help launch Morihei on his career as a professional martial artist. Yoichiro was widely regarded as Morihei’s number one student and often taught in his uncle’s stead. Among the prewar students of the Founder, Yoichiro had the reputation of being Morihei’s most skilled disciple and was said to move in a manner virtually identical to his famous uncle. This can be verified by viewing the surviving films of Inoue Sensei. 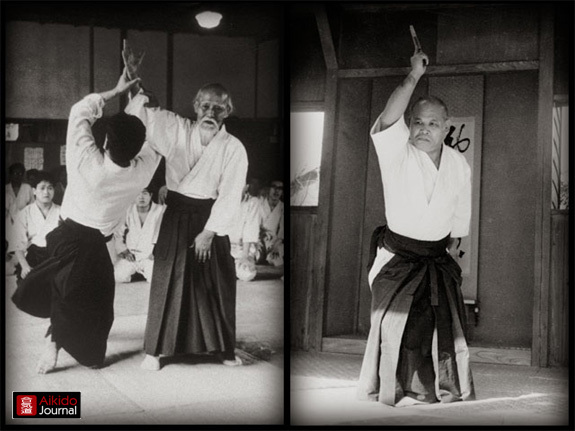 Yoichiro’s many years of service as Morihei’s assistant during the early years teaching the precursor of aikido, coupled with the considerable material support of the Inoue family to Morihei’s cause, were the reasons Inoue’s students regarded their teacher as the “Co-founder” of aikido. As various other important early figures who fell out of favor with the Ueshiba family, the name of Yoichiro Inoue has been relegated to a footnote in aikido history, and few today know of his story. For those who find aikido’s history to be a fascinating study and essential to becoming a well-rounded aikidoka, the facts of Yoichiro Inoue’s life and the Ueshiba-Inoue family ties will be revelatory. 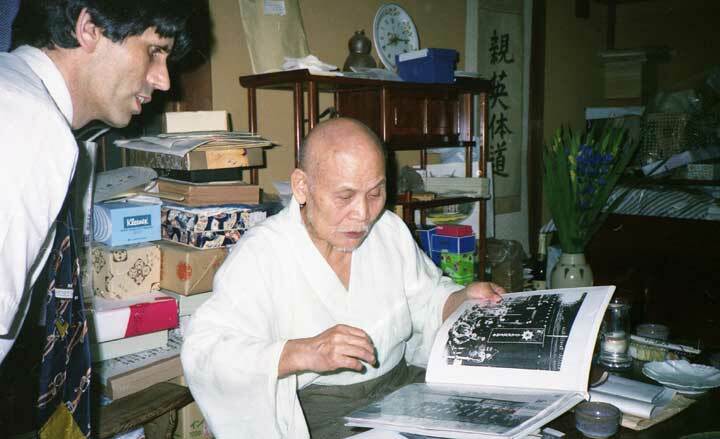 It is my personal opinion after more than 40 years of research that the record of the early years of Morihei Ueshiba’s life must be thoroughly revised to include what we now know about the Inoue family’s overarching role in launching Morihei Ueshiba’s martial arts career. When I first looked at Inoue Sensei’s techniques I was confused. How did he get there? So I worked on it. They are neither that hard, nor that different… at least at the beginning. Once I was in the Sierras with a map and compass. There were two roads on the map which diverged slightly. I shot a couple compass bearings and took the one on the right. Soon it was clear that I was climbing the steep wall of the canyon, rather than following the valley. It’s a bit like that. So I started incorporating his variations. For maybe a couple years I would almost get dizzy. Now I’m more comfortable. It’s a different territory. I’m reminded of the climate model which popularized the “butterfly wing” idea. In that case, rounding the data for computational purposes changed the model output dramatically. The predicted climate and variations were similar in overall outline, but diverged in major ways after a few iterations. So, now I think about the places where Saito and Inoue diverge. I propose that anybody who is curious, spend some time with juji nage. I had understood the Omoto Kyo Incidents were the cause of their separation, but there are photos above from years after. Was there a particular precipitating event that soured their relationship or did they just go their separate ways? If Inoue paid for the training with Takeda, after Ueshiba and Inoue broke ties with each other had the Inoue fortune been depleted too much for Inoue to continue paying Takeda or did Inoue separately break ties with Takeda when he made his own art? Or did he follow his uncle when Takeda and Ueshiba broke ties? There is a single technique in your video of Inoue that demonstrates something I don’t know how to name that Kawahara Sensei showed on several occasions. I have never seen it elsewhere. 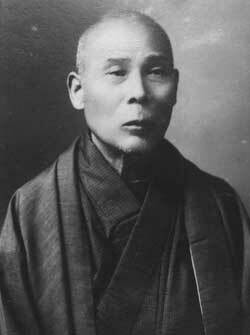 I understand Bansen Tanaka had trained with both Inoue and Ueshiba; maybe this is part of the connection. I continue to be astounded by your scholarship which enriches aikido and all of us who study it. Words cannot express my appreciation for your lifetime of work.